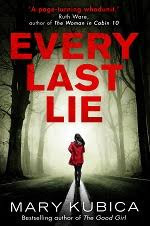 BleachHouseLibrary.ie: Book Review: Every Last Lie by Mary Kubica. Book Review: Every Last Lie by Mary Kubica. Clara's husband and four-year-old daughter are involved in a single-car collision, where only Maisie survives. The police say that Nick was driving too fast on a dangerous stretch of road and it was a tragic accident. However, Maisie begins to have nightmares and talks of a "Bad Man" in a black car chasing her father, before the accident. Grieving for her husband, with a new born baby and a demanding daughter, Clara is drained. Maisie's nightmares begin to seep into their everyday lives and her fears raise Clara's suspicions surrounding Nick's death. Was he being followed? Who was this "Bad Man". Who is responsible for destroying her life, and that of her children? When Clara opens the door to a uniformed officer, her whole life crumbles in one moment. She spends the next few days in a daze and cannot even bear to tell her daughter that her father is dead. Clara's father helps out as much as he can, but as her mother is suffering from dementia, he is limited to how much time he can spend with his daughter and grandchildren. When the bills start to mount up, Clara becomes aware that Nick's dental practice was not as successful as she was led to believe. The police are not treating the accident as suspicious, but she is. What else was Nick hiding from her? Pushing her grief aside, she decides to visit the scene of the crash and hopes to uncover the truth. But sometimes the truth hurts. Mary Kubica tells the story from two different angles: Clara's, directly after the accident and Nick's , in the weeks leading up to the crash. The reader is taken on a journey of suspense, doubt and hidden truths, being drip fed information at a steady pace. Clara is carrying a huge load and the weight can be felt on every page. Nick bears a burden that he cannot share and the pressure intensifies, on a daily basis, at great speed. The two stories finally connect toward the end of the novel and the reader finally learns what happened on that fateful night. A tense psychological thriller, with home-truths , interspersed with trauma, grief and despair. Kubica once again provides a twisty, gripping read which demands to be read in one fell swoop. Perhaps wait until your partner is safely home, before starting? 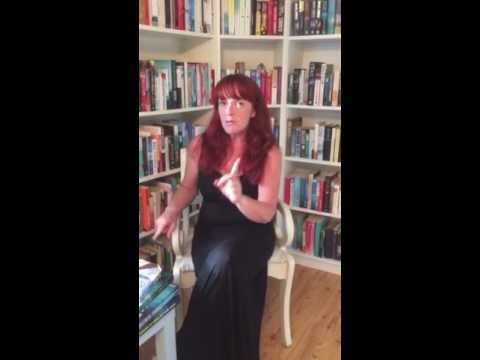 LMFM August #LateLunchBookclub recommended reads. Book Review: The Iron Age by Arja Kajermo.